René Steinke is a 2016 Guggenheim Fellow. 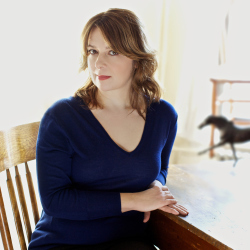 Her most recent novel is Friendswood, which was shortlisted for the St. Francis Literary Prize, and was named one of National Public Radio’s “Great Reads.” She is also the author of The Fires and Holy Skirts, which was a 2005 finalist for the National Book Award. Her writing has appeared in The New York Times, Vogue, Salon, Redbook, TriQuarterly, Bookforum, and in various anthologies. She is the former Editor-in-Chief of The Literary Review, and now serves as Editor-at-Large. She teaches fiction and directs the low-residency MFA program.